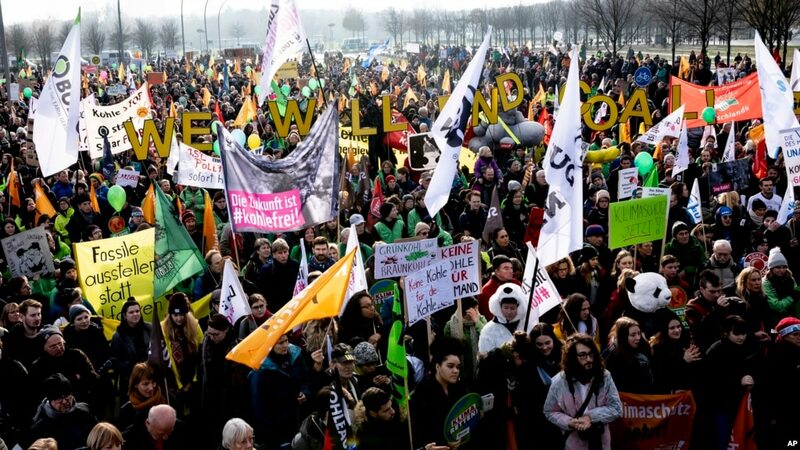 Germany, Sat, Dec. 1, 2018.
the eve of a major climate conference in Poland. out to protest -- 10,000 according to police. Germany to commit to pulling out of coal by 2030.
polluting power sources such as coal at the beginning of next year. percent of the country's energy production. the Paris deal limiting global warming. Hardly surprising. Burning cars is high carbon expression. There a chance the lowest carbon solution includes a couple coal plants. Wait for winter and power shortages. Give the people what they want! Stop coal. take to people who want them. Give. Them. What. They. Ask. For.